Since Irene, most of the pond behind Marcy Dam has drained. Photo by Josh Wilson. Now that the state has decided not to rebuild the dam at Duck Hole, people are wondering about the future of Marcy Dam. The short answer is that there is no answer—not yet. “No decisions have been made. We’re still evaluating that,” David Winchell, a spokesman for the state Department of Environmental Conservation, said this morning. Unlike the Duck Hole dam, Marcy Dam remains largely intact. However, flooding triggered by Tropical Storm Irene washed away the bridge over the dam and the dam’s sluice gate. Most of the pond behind the dam has since drained, leaving a mudflat. DEC plans to either rebuild the bridge at the dam or construct a new bridge downstream. Which option the agency goes for will depend in part on what engineers say about the dam’s structural integrity. In either case, nothing will be done until next year at the earliest. Since Irene, hikers on the popular Van Hoevenberg Trail have been crossing Marcy Brook by boulder-hopping about a quarter-mile below the dam. 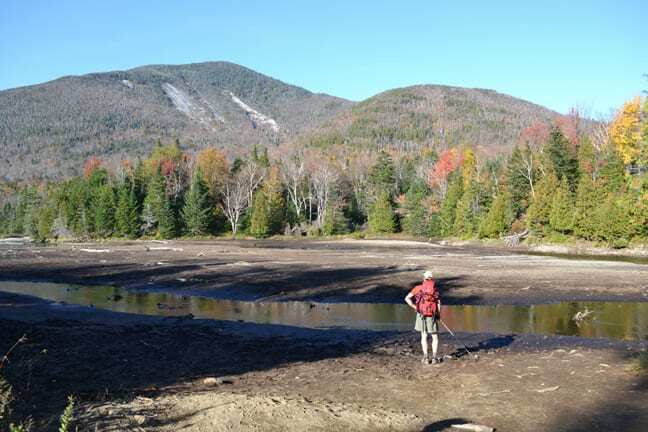 That crossing may be dangerous in winter, yet snowshoers and skiers will need to get on the other side of the brook to reach Mount Marcy and Avalanche Lake. Winchell recommends that they cross what’s left of the pond, once it’s frozen, or approach Marcy Dam via the Marcy Dam Truck Trail. Marcy Dam is one of the most familiar scenes of the High Peaks. From the dam, hikers would look across the pond toward Avalanche Pass and Mount Colden. The photographer Carl Heilman II used a scene from the dam on the cover of his book The Adirondacks. I can only hope that Marcy Dam is restored to its original beauty. It’s hard for me to fathom not seeing the spectacular reflection of the mountains when you pass through. Private and public donations should be rigorously sought after to replace the dam. Anything but its original form would be a disappointment. At least when it was originally constructed Marcy Dam had a purpose, to float logs. This is a wilderness area. What logic is there for it’s repair? People like Shawn Paradis have no concept of true wilderness. Want a nice view, buy a postcard. Lets protect our environement. Bob – Don’t be a blog bully. Try constructive criticisim to bring you opinions to light and respect others right to theirs. The ADKs has something for everyone, that’s the beauty of it all. Why because it’s a Wilderness! It’s a place where by the DEC definition we are not supposed to feel the touch of man! Mark, I am tired of these people who are outdoor advocates but have no real respect or concept of wilderness. He wants to dam a natural waterway so he can have a noce view!?! Give me a break. The Marcy Dam truck trail were constructed long long ago. It is not even a “truck” trail anymore as only an ATV can get in there. They use it for emergancies only not for any other purpose. Plain and simple, if the DEC follows their own rules for the area as they have defined and described that mgmt area, the Dam will not be repaired. They made the classification is it wrong to ask them to follow their own rules? Bob, I don’t believe the DEC would be violating any of its rules by rebuilding the Dam. It is a pre existing structure with historical significance. Since the DEC would only be repairing a structure that was already there and that provides a safe place to cross wouldn’t it be in the best interest of everyone to rebuild it? It also is an attraction that brings people in so they can appreciate the beauty of the area, which would make those people more likely to protect that area, which is a win for everyone. Your are entitled to your opinion which is every bit as valid as anyone elses. Every one wins except the environemnt. If fewer people came to Marcy Dam that would be a plus. If the Dam where completely removed the crossing could be done safely with a small log bridge just as it’s done at Avalanche camps. When an area is altered so profoundly, we are destroying not only the habitat, but our very principles for protecting it. I don’t believe the “history” behind the dam is enough to give it special designation. Most brooks had an impoundment of some kind for floating logs. They are many still holding water back. I suspect Bob does not really care about the environment, he doesn’t even spell it correctly. Hard to read such an inconsiderate narrow minded viewpoint. Pete- Don’t be a blog bully. Try constructive criticisim to bring you opinions to light and respect others right to theirs. The ADKs has something for everyone, that’s the beauty of it all. Bob-You can’t have it both ways. Your statement above suggests that you approved of the dams contruction in a wilderness area. Float logs?? Logging??? You say you want to keep the area by it’s definition as a “wilderness” (your own private wilderness maybe? ), yet your statement above suggests that you don’t want others to enjoy it. Isn’t the whole idea of having a wilderness area is so that people and come and go and enjoy it while they are there? And let’s not for get this……. Bob I suggest you look up the wilderness act and read the definition of wilderness so that you have a better concept of what a true wilderness area is. As for your statement below……..
Oh yeah….That’s really not your statement now is it? Mark, what both ways you are referring to?…I assure you, I am firmly against the repair of Marcy dam and encouraging the DEC to follow their protocols and definitions for their wilderness classified lands. If this was designated Wild Forest I would be in favor of the repair. My reply to your points..
1) When Marcy Dam was built (1920’s? )it was obviously not designated as wilderness it was a working forest. 2) I am reffering to the over-use of Marcy Dam when suggesting a decreease in numbers would be an ecological benefit for the area. This over-use is what led the DEC to institute a series of special regulations for the area which included no campfires. …Your are correct and very observant. It’s called sarcasm. Bob-The original dam was built at the turn of the century, but it was reconstructed after the Wilderness Act. As for the DEC…you will find in their UMP for the High Peaks area that one of the objectives of the plan was to maintain the dam even though they make the assumption that it’s an overbuilt structure for a Wilderness area. Below I’ve pasted that section of the plan as it relates to the Marcy Dam including their assumption of the dam which I’m sure you will personally appreciate. Even so, please note the very first objective that was listed. resources, (3) need to maintain upstream wetlands, and (4) need to protect vistas and other aesthetic values (Van Valkenburg, 1986)……. The present Marcy Dam superstructure and bridge is inappropriate for a wilderness setting; it is basically an “over-built” structure.
! Maintain the four functional dams listed above in a safe condition. So as you say…. if the DEC follows their own plan they should repair the dam as stated in the UMP. I don’t agree with your final statement at all. The DEC has allowed wiggle room with these structures as they admit they are not conforming but also permit their existence and repair. They even do so explicitly, in the master plan. However, in the phrase, “The decision to reconstruct or rehabilitate wilderness dams must be based on established DEC policy considering such factors…” , they are not mandating they be rebuilt, they are implying they will make the decision as required, based on those four criteria. They have just used those criteria to determine that the Duck Hole dam, also in the High Peaks wilderness, would not be rebuilt. I hope they make the same decision with Marcy Dam as they have with Duck Hole. While both the UMP and Masterplan permit it’s existence, both documents clearly concede it’s glarring contradiction in this wilderness area. Let’s follow the rules for defining a wilderness area and not rebuild this…”The present Marcy Dam superstructure and bridge is inappropriate for a wilderness setting; it is basically an “over-built” structure.” That kind of says it all. Bob – We are talking about the Marcy Dam not the Duck Hole Dam. I currently have no opinion on the DHD. But I can read and understand the UMP. The 1st objective listed was to maintain the 4 dams (Marcy being one of them) in safe condition. So as you have said over and over the DEC should follow what has been set up then the dam and bridge should be repaired to make it safe, regardless of whether they have stated that it’s structure is inappropriate for a wilderness, which is water over the dam Bob. It’s there, it’s in need of repair, fix it! Especially since it is so heavily used. I was there this Sept after the storm and I’ll tell you the ropes and signs they have up did not and will not keep people out of the area of the dam. It’s not safe in its current condition. I guess you’d rather leave it there to become a ruins? Mark, we are just going to have to agree to disagree. I will agree with two of your point however, 1) The current flagging/ropes in place are not safe. Since it is a mna made structure and not a natural one. The state could be liable for human injuray, as opposed to someone getting hurt while hiking climbing natural obstacles. 2) The DEC has given themsleves an exemption and option with these dams in regards to following their wilderness guidelines. In fact there is a blatant contradiction under the objective you pasted. Under Mgmt policy and actions: They have the following…Allow all nonfunctional dams to deteriorate naturally to normal stream flow. Marcy Dam is certainly now nonfunctional. I understand we are debating marcy Dam but you can’t say the mgmt practices with regard to Duck Hole and Flowed land dams are irrelevant in regards to the Marcy Dam decision. In both cases DEC followed their wilderness mgmt objectives. When the dams failed and the ponds were dewatered they were not repaired despite the “objectives” as you point out, and allowed to return to a natural state. Why would Marcy Dam be any different? It would certainly be more in line with the wilderness protocols. Thank You for the lively debate. By the states own admition it doesn’t belong or comply with mgmt practices for wilderness, which the area is classified as. That is why I would like it not to be repaired. Why do you want it to be repaired? It be just because it list as an objective? Everytime I go past the dam I cringe in disgust, it so massive and out of place for the character and feel for wilderness. The decision to reconstruct or rehabilitate wilderness dams must be based on established DEC policy considering such factors as…… (4) need to protect vistas and other aesthetic values (Van Valkenburg, 1986). I hope that they do take this point into consideration. The view will certainly remain for a long time even with out the dam. The succession of vegetation will certainly cover the “ugly” mudflats if that is a concern. Beaver may recreate an impoundment of their own backing the flow up. So it is the inspiring view of the mountains why you want it to remain, not the “beauty” of the dam structure itself? The view at flowed lands has not changed much over the last few decades. The only major difference, obviously, would be that there is no pond, just the natural flow of beautiful Marcy brook. To that I would just say you are not seeing the forest for the trees. It is a man altered landscape you desire in an area where by our own management principles we declare we will have none. I believe you will get your wish Mark. A few years ago the DEC spent thousands rehabing the dam. (Remember all those orange sandbags when water was squirting through the west impoundment.) I believe a poll of the users would find most share your sentiment than mine. Sad. I will still lobby the DEC to remove the structure and the outpost, which is madated to be removed by the master plan, in one fell swoop this year. Bob-Yes, There will always be a view of sorts, just not the one that people who have visited the area since the dam was first built will remember and reflect back upon. We all see the world through a different set of eyes and as it’s been said, “Beauty is in the eye of the beholder” So Bob I have no problem seeing the forest. And to say in your own words that people “…have no real respect or concept of wilderness” just because we’d like to see the area as its been enjoyed for most of our lifetime is “unseeing” in itself. As for the dam structure…it would be nice if it could be rebuilt in such a manner that the walls would be camouflaged with rocks etc.,to make it blend in more with the natural surroundings. I don’t have much hope for that though. Well said Mark. The sedimentaion into Marcy Dam pond was so bad in drought years the mudflats looked similar to what is there today. Hopefully, for your sake, they will dredge the pond before reconstructing the dam so you will always have your man altered landscape. Perhaps they can build the dam higher so it will be a good swimming hole again. Bob-Why do you always revert back to being so cynical? Is it because it’s hard to accept that there may be other opinions and views that have merit,even though they do not fall in line with yours? Is it that hard to accept that you are most likely in the minority on this? Not everyone is going to agree with you. I’m sorry but it’s not… “The Wilderness According to Bob”… So, as I find you too narrow-minded to continue in a meaningful debate I’ll consider this my last post on this topic. Unless of course you come up with something profound to say, but I highly doubt that your smug and intolerant mind is capable of that. I hope they rebuild the Dam. Thank you Mark for trying to talk some sense into “Bob the baby”. Interesting Debate. Sorry I cam to this late. Mark, why is Bobs argument more narrow then yours. They seem the same gauge, just one of you is Pro the other is Con? In a sense you are both narrow minded in that you have both made up your mind(s). I actually feel Marks point of view is less narrow minded. Bobs point of view ine essence is that this is the wilderness and is supposed to remain this way and to protect the environment. I do not see him advocating a permit system which would limit the people who can access that area ever year to reduce all the errosion caused walking there. If you look at the trails there its all rocks because the soil has been erroded by all the people walking on it. Marks argument IMO is more sound because its just repairing a preexisting structure. The view brings people in that might not otherwise go and the beauty of the area will potentially get more people behind keeping it that way. Thats cool Dude. It’s like the Fox News argument. The opposition is narrow minded because you don’t agree with it! It’s all good. Not like any of your all opinions matters. Good debate though. I see the point. It’s designated wilderness if it was called something else maybe he would be dope with it. Rob, glad you know what I advocate. Principally, I am opposed to the dam because of the wilderness designation. Specifically, I am abhorred by the fact that Marcy brook is a natural trout stream, whose passage is blocked by this structure. Sorry, I just don’t get how your need to alter the environment supercedes environmental protection. It is most disgusting that happens in a wilderness area. I can only hope that Marcy Dam is restored to its original beauty. It’s hard for me to fathom not seeing the spectacular reflection of the mountains when you pass through. People like Shawn Paradis have no concept of true wilderness. Want a nice view, buy a postcard. Lets protect our environement. My point was aligned with Shawn’s view in that what we both saw was what we came to know as the Adirondack Wilderness that I’m certain inspired countless others as it had inspired me. To attack a person in that manner and then try to back it up with such narrow mindedness is what I based my argument on. I don’t believe I was narrow minded at all. The Dude abides. Good debate. Not even sure how I feel. I just think your stament that his opinon is narrow is lame. You tend to repeat that same statement. Try again. Why is his opinion narrow but yours is not? As for “Baby Bob”, Nice Marmot! Go tatto wilderness on your forehead. Why should Mark change what he states when he is obviously right and “baby bob” is just that. If we are going to leave the dam broken down for the sake of keeping it wilderness then lets just shut down the trails and prevent all access to the area so it truly can be a wilderness without the literal touch of man. Unless Bob is advocating no one should be allowed in that area to keep it a wilderness (which goes against NYS law because the park is meant for the people to enjoy) then who cares. They would just be repairing a preexisting structure and not building a new one. Quick response Dude. You must be bowling like me today. I don’t see this as obvious, but I suceeded anyway. Dude, do they have rules, regulations or criteria for managing a wilderness and what defines a wilderness? Trout are always one of the choosen species, (like loons) surprised no one made a bigger deal about the dam stopping their swim. (If thats even true.) Anyway, a postacard view of some mountains reflecting in a DAM pond to inspire idiot hikers to trash the area with their boots is way more important than some fish! You’ve got that whole cowboy thing going. I am arguing that under the current law they can repair an existing structure. Whats the best thing for the environment and animals in that area? For no people to be there period. But again legally speaking people have a right to go there and repairing a pre-existing structure is allowed. If we want to go the wilderness route then we shouldn’t be building bridges either. a bridge is a eyesore to natures natural beauty is it not? But then you will have lawsuits because it would not be accessible to people in wheel chairs and would that not be in violation of the Americans with disabilities act? My point is the Dam has been there for so long already its already done whatever damage it will do and by rebuilding it will not effect wildlife or the environment any more then has already been done. If bob really wants this not to be rebuilt then he should argue that all the dams in the Adirondacks, all the bridges and all the man made structures on state land should be torn down and all the DEC campgrounds closed. up in the adirondacks they have a grandfather clause for pre-existing structures for repairing without the need to get a permit and do environmental studies. But with the damn in place what new ecosystem developed? is it fair to that new ecosystem to be destroyed to bring back an old one? What I meant about the damage being done is that the fish pattern and animal patterns effected by the damn have already changed the ecosystem. The ecosystem has already adapted to that change. Any spawning grounds above the damn have already been inaccessible for such along time that the damage cause from its first inception has already been done and the fish and birds have already adjusted to that change. Dude, thats a pretty good argument. Don’t you think it would be best to restore or allow it to revert to its natural state whenever possible? I know the environment always adapts. Still seems like it would be best if the fishes could swim on by. Especially if the only purpose of the dam is to “maintain a vista.” The DEC really wrote that in a wilderness plan? That in itself sounds un-wilderness doesn’t it. We will alter the landscape in a wilderness area in order to maintain a view people like! WTF! Just sounds messed up. Dude, they do all that up there with out a EIS, just cause it was already there? Thanks for the info. Marvelous woman, we are all very fond of her. They are actually really bad up there. 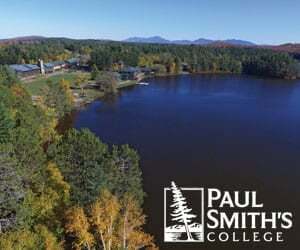 My dad wants to develope lake front and his plans coincide with the management plan for the area and he is using DEC designs but the Adirondack Park Agency are not signing off on a dock. If you want the area to truly revert back to its natural state then you must ban all people from going there. Sure today you could say lets just let this dam stay down so it reverts back to help environment. Well if you truly care about it reverting back then you must get rid of all human interference including keeping out completely. Which you cant do because its the law that we have a right to be there. However the DEC can keep people out when there is a high risk of wildfires and even then people who own land can stay on their property. The DEC is really a joke and I admit they dont follow the laws but then again when does any government agency follow all the laws? It just never happens. The state built a bunch of damns in the Adirondacks which flooded a whole bunch of areas to create lakes. So rebuilding the dam goes along with what NYS has been doing all along. If they are going to let things revert back then it should be accross the board and we should not pick and choose what stays and what goes. Mr. Marvelous – Yes, try again “dude” as it was not I who referred to Bob as “Bob the baby” (I believe you have me confused with someone else.) However I would like to respond to your reply to Rob. “Idiot Hikers” ??? Really “dude”? Well it appears that you have slipped to the lowest stage of the disagreement hierarchy order by “name calling” , and this reader can tell the difference between name calling and a carefully thought out refutation. Don’t worry though name calling is a common and natural response in DHO when one enters a territory that he/she may not have explored all that well. I have to agree with Rob in that the DEC has not always follow it’s own rules and regulations. I would suggest reading the DEC’s management plan for the area. It’s about 300 pages of dry but interesting reading none the less. If you read it you will find that there were 4 dams built in the area before it was designated as a “wilderness” The plan states that the dams will be maintained and repaired , and specifically mentions the Marcy Dam due to shear number of “users” in the area. However… sometimes I wonder if decisions are more budget driven. Making a decision that contradicts the plan and saying that it’s to allow an area to revert back to it’s natural state may be a way for the DEC to pass the “red face test” vs simply saying there is no funding for the project. I do believe that the DEC is caught in the middle of it’s own mission of trying to protect the wilderness while still maintaining a way to allow access to it. Back to Marcy Dam…..There is already a foot bridge that has been built downstream from the dam by the ADK trail crew so people don’t have to rock hop to get across. So if the DEC allowed this why didn’t the DEC at the very least just replace the foot bridge over Marcy Dam. Again I suspect it was a funding issue. If I’m not mistaken I believe the ADK built the foot bridge using their own funds and plan on removing the timber to use it elsewhere if the DEC decides to repair the bridge at the dam site in the future. IF the DEC follows the objectives in it’s own management plan they will do just that along with repairing the dam itself. No personal harm intended dude! I am a brother shamius like you! I am sorry for using the expression “idiot hiker”. I was just looking out for the fishes dude. I think they should be allowed to swim free. I didnt address the “Baby Bob” lameness comment to you, not sure why you think I did. I was mostly offended by your use of the term narrow to all points of view other than your own. Thank you for the Sermon dude! I can skip Church on Sunday now. Mr. Marvelous – Again the only point of view that I argued against was Bob’s point of view which is soley based upon the word “Wilderness” as defined in the Wilderness Act. If you haven’t read the Wilderness Act maybe you might want to so that you better understand my position and argument. Actually, based upon that definition of wilderness I find it ironic that the area that has been the topic of this debate could have even been designated as a “wilderness” (as defined in the act) in the first place due to the fact that man had already altered it. So an argument based soley upon the words in that definition and not taking into consideration actual facts is like saying “well it can’t be any other way because this is how it written” (again after the fact). So yes in my opinion that is narrow minded and one needs to take off the rose colored glasses and see it for what it really is. I got ya Dude. The Wilderness Act applies to Federal Lands. 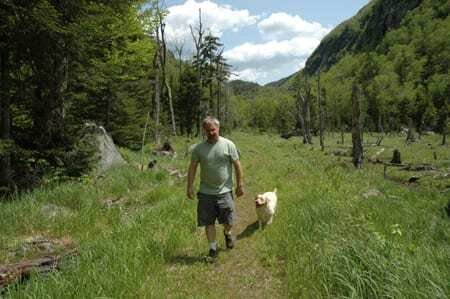 The High Peaks wilderness is a State designated wilderness inside the “Blue Line”. Similar but some diff rules. You need to read up. Mr. Marvelous – Yes you are correct. The Wilderness Act was written for Federal Lands. 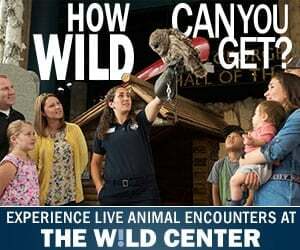 I never stated that the area we’ve been talking about is governed by the Wildrness Act. I only quoted the definition of “Wilderness” in that Act. However… NYS adopted the definition of “wilderness” directly from the Wilderness Act and wrote it into their master plan. In fact it’s almost verbatim. They simply changed the wording from “federal lands” to “state lands”. So no need for me to “read up” as I have read both. So I stand by my argument as I believe it is sound and based on facts. Mr Marvelous – I almost forgot this….Congrats on rebounding to the to the Ad Hominmen level of the DHO. As you say….you get style points for that. Only a few more levels to go to explicit refutation. I have faith in Humanity again! DEC decides to remove remaining structure. Area to be renamed “Marcy Flats.” Brook Trout will be able to visit long lost relatives left behind when Marcy Brook was partitioned like Korea. So there has been a decision? Not yet. I expect will be a few months, at least, before the judge hands down a decision. Judge? What what are you talking about? Sorry, my comment was meant for the post on the navigation-rights lawsuit. Three years later and I stumble upon this page again and see someone tearing into me for hoping beauty was restored to Marcy Dam. There are parts to your argument that I agree with, Bob. However, not to the extent at which you reference. I appreciate your opinion and won’t ridicule you for it like you did mine. One point to consider in order to protect wilderness is to build an appreciation for it by allowing access – one effective approach to doing this is by means of maintaining/creating trails that are ruined by Mother Nature. Each time I step foot in the Adirondacks I grow to appreciate what it has to offer more and more. I’m all for a minimum carbon footprint but having zero wouldn’t build the appreciation that exists for it now. Sometimes you have to give a little to receive exponential benefits in return.